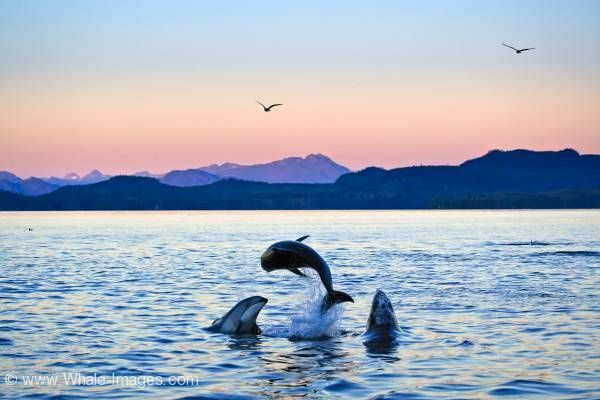 Three jumping Pacific White Sided Dolphins just after sunset with beautiful scenery of the British Columbia Mountains. Pacific White Sided Dolphins playing and jumping in Johnstone Strait off Northern Vancouver Island in British Columbia, Canada. Photo of three jumping dolphins in Johnstone Strait, Canada.